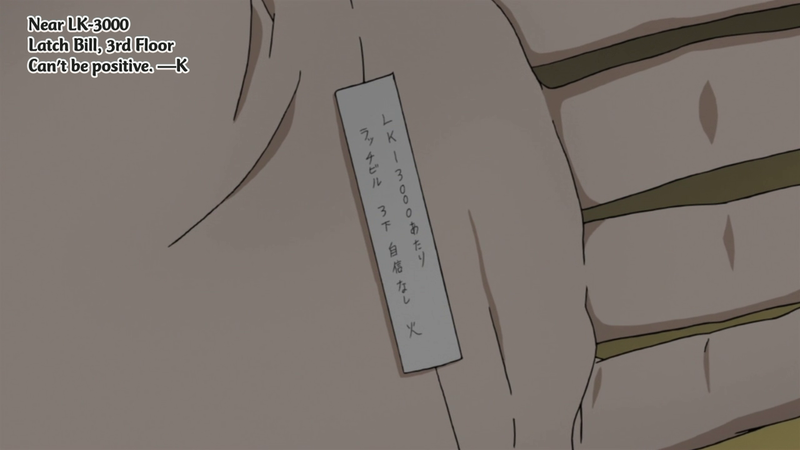 Shion’s mother, Karan, has received Nezumi’s message about Shion being safe and having escaped to the west district. Her response? One doesn’t always wear a cast to properly heal a fracture/break. Occasionally, one simply wears a splint which is basically half a cast tied to the broken part of ur arm. Unlike what the picture below implies, having it hang on one’s neck isn’t necessary and aligning to a perfectly straight object id out of date. If you didn’t get what I just said, don’t worry about it and just depress over the fact that you can’t read my awesome writing for a while. Persona 4 is one of my absolute favourite games of all time, it was a rare case where there wasn’t a single aspect of it that I didn’t enjoy. I like the setting, the story, the characters, the music. I could go on like this but that would sort of ruin the point of why I’m writing this. 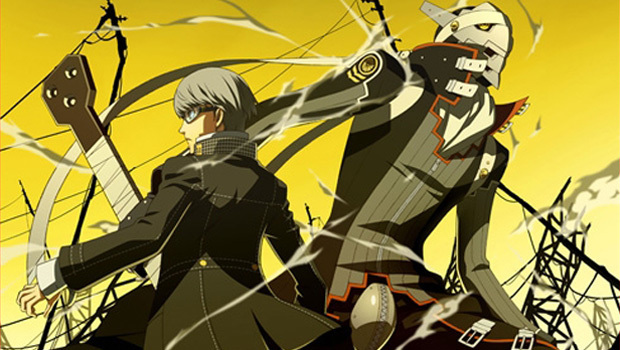 Anyway if you play videogames, and if you even slightly enjoy RPG’s and you haven’t played Persona 4, I suggest you do so as soon as possible. Trust me, it’s worth it. A few months ago an anime adaptation of Persona 4 was announced for this fall, I’m going to tell you why this makes me so happy it hurts. It’s official! Fall 2011 marks the return of the popular series, Hunter X Hunter. Apparently, a promotional campaign found on bookstores in Japan confirms that a new TV series has been green-lit for next season. 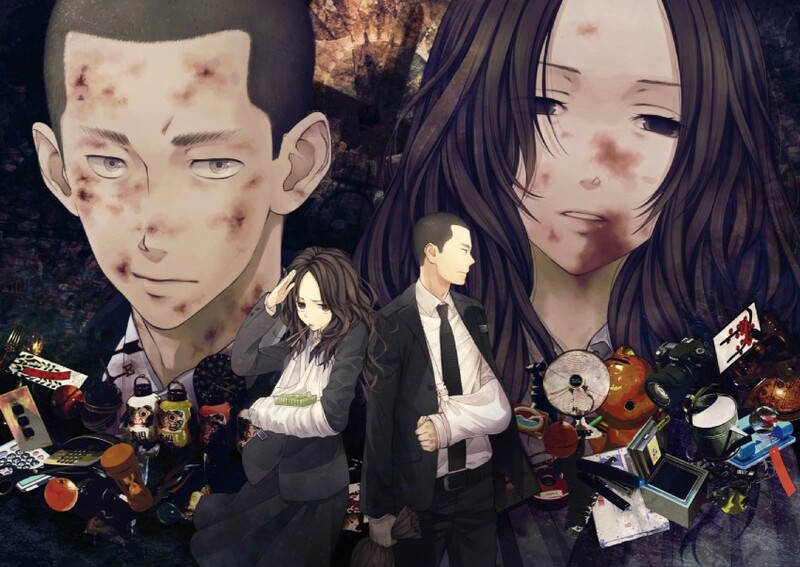 (Source) HXH has had a 62 episode TV series, 3 OVA series totalling 30 episodes. There is no news that tells us if the new TV series will be a reboot or a direct continuation to the OVA. However, the latter seems to be most probable. If the TV series is indeed a direct sequel, then, it should cover at least the first half of the Chimera Ant Arc. Insect haters beware. This Chimera Ant Arc arguably has the most disturbing and ugly moments in the series, but I’m sure you’ll be fine if you’ve read Franken Fran (lol). I really wonder how long the TV series is going to last. It could go from 12 to 50 episodes. It wouldn’t surprise me if the anime is trying to do the entire arc. Let’s not forget that Shounen Jump confirmed that Yoshihiro Togashi will resume the manga in August. Maybe Togashi feels that he is healthy enough to finish the entire arc. Without a doubt, the anime length will certainly depend if he finish the job without going back to another hiatus. I wouldn’t be surprised if Togashi goes back to hiatus after one chapter. After the disappointment of R-15, I still needed a good harem and I got Mayo Chiki which brought up some very pleasant surprises. With the exorbitant heat, it is definitely time for true fan service. 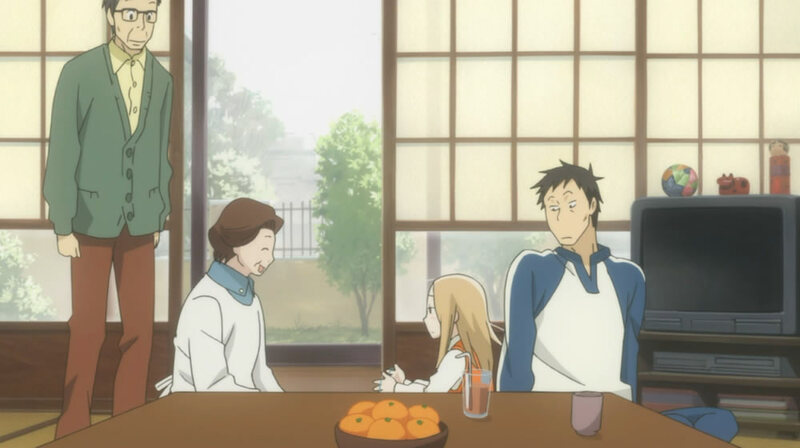 I was slightly surprised to see Daikichi’s family reappearing so soon and being shown in a very different light from the first episode. A pleasant surprise though, as this portrayal is much more favorable.